The British Academy announced in September that Dr. Roger Bland OBE was awarded the 2016 President’s Medal for for “his contribution to the protection, and academic and public understanding, of Britain’s cultural heritage”. Dr. Bland is currently Visiting Professor at the University of Leicester and Senior Research Fellow at the McDonald Institute for Archaeological Research in the University of Cambridge. He is an Honorary Lecturer at the Institute of Archaeology, University College London and served as Keeper of the Department of Prehistory and Europe at the British Museum. He is the founder of the Portable Antiquities Scheme (PAS), which records archaeological objects found by the public in England and Wales. PAS has currently 1,226,028 objects within 774,811 records on its website https://finds.org.uk/. 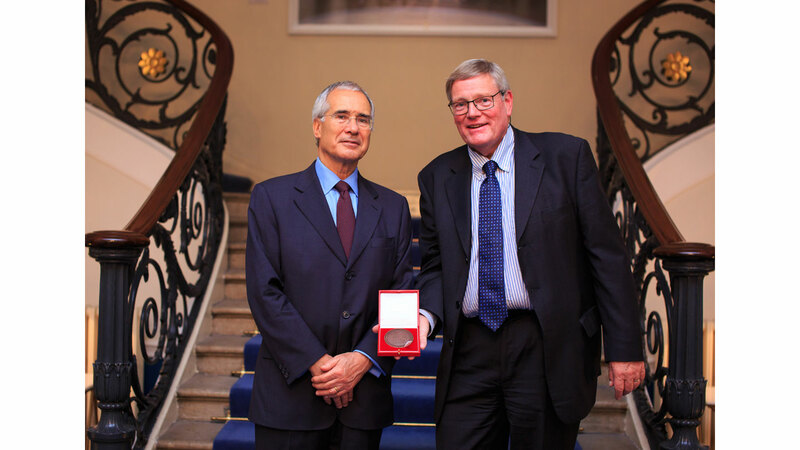 The prestigious President’s Medal rewards outstanding service to the cause of the humanities and social sciences, and has been awarded to individuals who play important roles in Britain’s cultural life. It covers a broad range of criteria, including insightful journalism contributing to public understanding, use of research in policymaking, and public leadership. “I am humbled to receive this award which I believe represents recognition by our national body for the humanities and social sciences of the academic value of the Portable Antiquities Scheme which I founded 19 years ago and led until last year. The Portable Antiquities Scheme is a national network of some fifty dedicated archaeologists who record archaeological objects found by members of the public (metal detector users and others) from across the whole of England and Wales and record them on an online database. Over 1.2 million objects have now been recorded and, as a public resource raising awareness about our country’s rich archaeological heritage, this database has no parallel in the rest of the world. It has also proved to be a very rich resource for archaeological research, and has led to over five hundred academic projects. The success of the Scheme is due to the contribution of the amateurs who submit their objects for study and the very hard-working staff who record them. I accept this honour of their behalf, as it is their efforts and the research dividend from the Scheme that we should celebrate this evening.